The new blog went live yesterday. I hope you visit me there. It will have the same side links as this one but will include much more than just Rudy Day. So check it out! 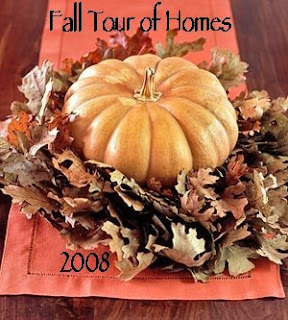 Tomorrow is a Fall Tour of Homes, thanks to Cathy over at Haunted Hamlet. First thing tomorrow morning, you will be able to go to Cathy's blog to get the list of the "tour". See you then. Other news......I am changing my blog in the next few days so that I can encompass all my passions.....my family, my quilting, Christmas and the Fall. 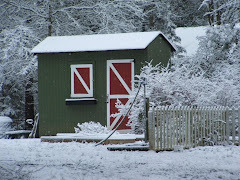 At first, the plan was to have a series of blogs, A Quilters Christmas, A Quilters Garden, A Quilters Family, A Quilters Fall. Then I figured, "Hey, I'm having enough trouble with just the one ! How am I going to do 4?" So I'm not. I'm going to have the one with lots of pictures and more posts and lots more links to the blogs and shops I love. Hope you'll join me on this new adventure.